Agenda - De website van thesnifferoo! AMBERGRIS, 14th of March, Odorama evening in Mediamatic. Frank takes part in the exhibition with an olfactory artwork, called unintentional irritations. On Sunday the 10th of march, the exhibition De Droomfactor starts in Galerie de Meerse in Hoofddorp. The opening is from 5pm -7pm, you are invited. Frank is present with the installation unintentional irritations. It is a floor piece with a rice-cracker pattern, a peanut butter lined suitcase and a room fountain on a stool that contains mandarin scented water. 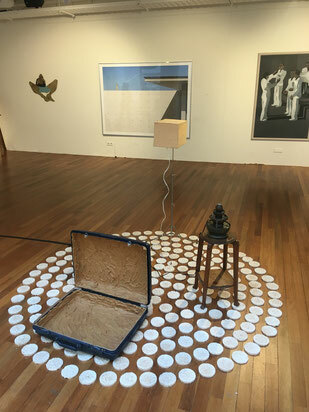 The piece is completed with a speaker on a stand, that broadcasts sounds that were recorded by radio-play producer: Bert Kommerij. The Snifferoo Workshop is a workshop on the essence of perfume. 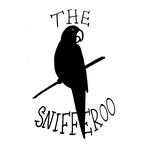 Get acquainted with a collection of essential oils and synthetic fragrances by The Snifferoo. You and your group will learn about the history of perfume, methods of extraction, and synthetic fragrances. And you create your own scent. Each of the participants will go home with a 10 ml bottle of homemade perfume. 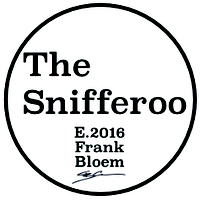 The Snifferoo is a personal approach on perfume and smells by perfumer Frank Bloem. Perfumes by The Snifferoo are the result of a search for a certain combination of smells. They reflect an exploration in an invisible world, the world of essences. Besides perfumes, The Snifferoo is also known for the creation of various smells for exhibition purposes. 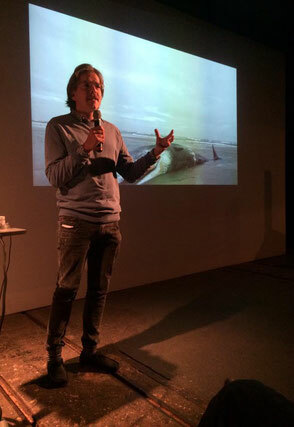 Frank can be booked to speak about different topics surrounding smells, he gives workshops and is a guest teacher at Saxion hogeschool in Deventer. 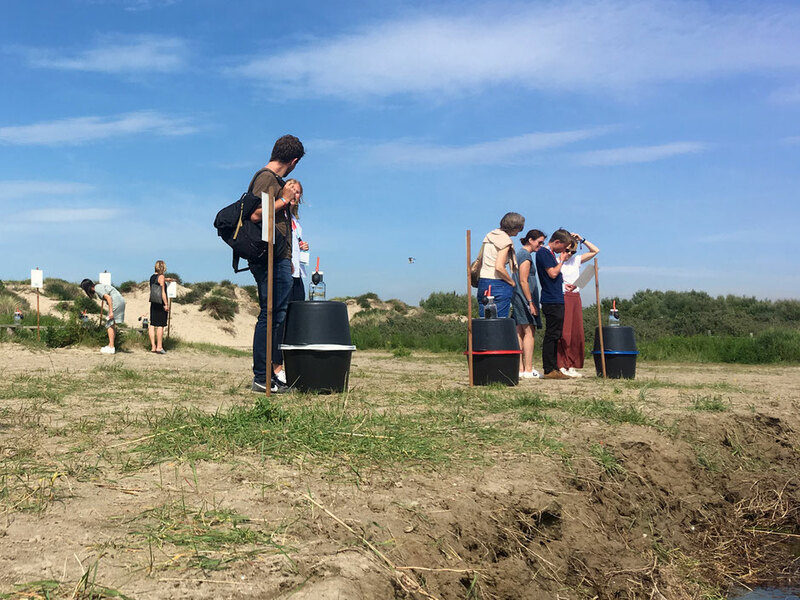 Together with Mediamatic and curator Caro Verbeek, Frank Bloem co-curates and moderates evenings about scent, science and art, under the name of Odorama. More information on the Mediamatic website. ARTIS, the Amsterdam zoo, comitted the design of three smells for their Elephant Trail, the educational exhibits surrounding the new elephant enclosure. Elephants have phenomenally good sense of smell and also use scent in their sexual communication. On exhibit are the scents of the fertile female, the rutting male and the young male elephant. The scents approximate the real natural scents and are a translation of the smells as if smelled by an elephant. 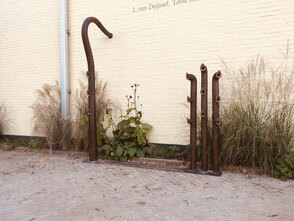 Together with Anne van Leeuwen (Artis educational department) and landscape architect Maarten van Kersteren, who designed te trunk shaped tubes we created this amazing installation. We thank Astrid Groot and Peter Roessingh from the University of Amsterdam for their role as advisers. A fierce opening with a breeze of gasoline, lemon and cedar-wood is accompanied by the sweet oily smell of roses and wraps up with the filthy but exciting undertones of musk and tar. A perfume for daring romantics who go crazy over the smell of gasoline and as well dream away with moroccan rose by the constantly rotating rhythm of the tireless PUMPJACK.